Home / Blog / Why Clean Eating? Less fat. Less sugar. More meat. Less meat. Veggies only. Nightshades can only be eaten on Mondays and Fridays. Cook food using the tools and techniques our ancient ancestors would have used….wait, what? It seems like the world of dieting becomes more and more complicated each day. In the face of endless fads and gimmicks, the idea of “clean eating” has gathered a significant following in fitness circles and social media sites such as Instagram. Okay. While that may seem like a pretty straightforward definition, there’s a lot to of ideas in there to break down to understand what clean eating means, and how to avoid the common pitfalls of the diet. Clean eating, at its core, is not a diet in the traditional sense. Rather, it’s a shift in our relationship with food. Whereas other diets advocate for restrictive measures, limiting food groups or calories, the idea behind clean eating is to emphasize whole foods, rather than processed foods. Processing foods can strip them of nutrients our bodies need. By removing fat or sugar (or other dietary bogeymen), processed foods are well-suited to restrictive diet plans. But clean eating wants eaters to have a more fruitful (pun intended) relationship with their food. This includes knowing exactly what they’re putting in their bodies, as well as where their foods come from (two things that are difficult to do with processed foods). Protein, fiber, vitamins, minerals and antioxidants, OH MY! Clean eating advocates argue that an over-reliance on processed foods limits our access to key nutrients we need in our diets. According to the Office of Disease Prevention and Health Promotion, the average American diet is deficient in: vitamin A, vitamin D, vitamin E, folate, vitamin C, calcium, potassium, fiber and magnesium. That’s… a lot. As the ODPHP also notes, sodium and saturated fat are over-consumed, pointing to an over-reliance on over-processed foods that rely on fat and sodium. Clean eating relies on whole foods. Remember that food pyramid you were taught in school, where the bottom was grains and breads, the middle was meats, fish, fruits, and veggies, while the tippy-top was fats and sugars (i.e. processed foods)? Most people’s diets rely on the top and bottom sections. Clean eating seeks to emphasize the middle quadrants, turning the food pyramid into a food trapezoid. By encouraging the consumption of minimally p rocessed foods, clean eating helps eaters to increase the amount of nutrients they would otherwise not be getting. If I eat half an apple, is it still a whole food? As Dr. Hark notes, a clean eating regimen encourages “‘whole foods’ fro every food group. By relying on whole foods, rather than processed foods, clean eaters are more likely to choose ingredients from a variety of food groups to create a meal. Ideally, a whole food meal is composed of easily identifiable parts; i.e. the tomato is still a tomato, the beef is clearly still beef. Processed foods incorporate additives and preservatives that are shown to be detrimental to human health. 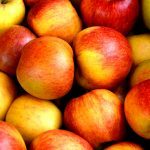 Whole food advocates argue that eating food grown using non-GMO and non-pesticide techniques is a critical component for health as well. Eating whole foods has a variety of benefits for people looking to lose weight and feel better. Whole foods tend to be less caloric: even though clean eating isn’t necessarily intended to help people lose weight, it does allow people to eat more while losing weight. It only takes 500 extra calories a day to gain a pound a week. Sticking to whole foods makes it difficult to calorically overindulge. Furthermore, because clean eating relies on eating as much whole foods as possible, clean eaters often end up cooking more seasonal foods. Increasing the variety of foods used not only improves our nutritional profiles, but it encourages the use of local and sustainable produce. It’s a win for eaters and the environment. Some clean eating advocates encourage a strict regimen–only fruits, vegetables, and meats/fish. But avoiding other food groups like dairy and grains can deprive eaters of key nutrients that typical American diets are already missing (like calcium and folates). Clean eating is about understanding what food your body needs and where that food comes from. Minimally processed grains and dairy products from local farms are easily found in health-conscious stores like (the appropriately named) Whole Foods and Sprouts. Be conscious not to rely on these foods as the staple of your diet and you can still enjoy these foods while eating clean. Some worry that eating clean means expensive organic foods only. And while these foods can be marked-up, eating locally through farming collectives, which deliver boxes of fresh, seasonal produce to your house, are great ways to support local businesses and eat healthy on a budget. Daily and weekly farmer’s markets are more common these days, as well. Search for these as alternatives to costly organic sections in your typical grocery store. While clean eating is a time and monetary commitment in the short run, it eventually becomes second nature to people who adapt it long-term. And in return, clean eaters feel better and have more energy.